While it’s true all human beings need sufficient exposure to sunlight for a healthy living, there are circumstances such as the lack of budget or simply the design of the house, where you are compelled to live in a room with no windows. In certain cities for example, many apartments come with no windows due to climatic conditions or the high density of buildings around. The absence of windows is known to somehow help maintain optimal air distribution in those cases. Having no windows changes the characteristics of a room a lot. The obvious difference is the lighting. Artificial light hence plays a decisive role in this. To achieve maximum comfort, the amount of light in the house has to be used abundantly and distributed appropriately. The walls, for example, can be painted with white or in warm colors like yellow, red or orange. It is also encouraged that you use bright-colored carpets or floorings, accompanied by dark furniture (e.g bedside table), wall shelves or frames for a nice contrast. These small tricks will allow you to highlight the brightness of colors while creating a more natural shade. Another element altered by the absence of window is the ability to interact with the rest of the world. Without a window, it will be difficult to know what is happening beyond those walls. Have you ever spent a day staring out your window, lost in thoughts alone, eyes following the movement outside? With no windows, you won’t be able to do this. Lack of ventilation is another important factor to consider. In a windowless room, air circulation is limited and can be harmful to your health. So in this article, homify has gathered some ideas to help you decorate a room without windows while creating a healthy living environment. Take note! The major consequence from the absence of window is the lack of natural light. 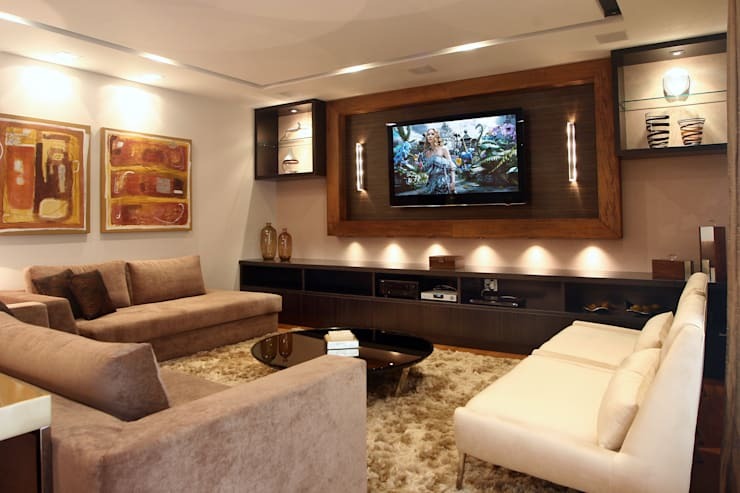 Therefore, it is especially important to devote time and attention in designing the lighting of the house. We have two options for you! To create a warm and intimate atmosphere, try using yellow incandescent lights. Likewise, the use of lamps and chandeliers, as well as candles or incense, can also help provide the environment a necessary touch of warmth. The second option is to use lighting that resembles or imitates natural light, i.e. white incandescent bulbs. Full spectrum light bulbs are considered the best alternative as they mimic natural sunlight. However, they do cost a little more than regular light bulbs. Another tip in decorating a windowless room is the use of curtains instead of doors. It helps create a window effect while allowing light to distribute throughout the room. 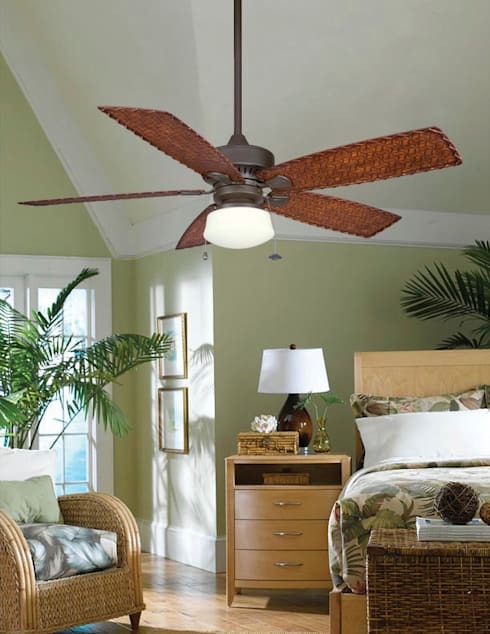 - Install a fan on the ceiling or the back of the room to generate air circulation. Turn it on at least twice each day, for at least half an hour each time. - Avoid materials that facilitate humidity, such as wood, paper and leather. Depending on the temperature, it is possible for the room to develop mold. - Undergo a small renovation and install an exhaust fan. As this requires certain skills, we recommend that you leave this in the hands of a professional. - If the room is not strictly necessary, relegate it for other purposes such as a storage room. It is an easy and costless solution to get rid of the ventilation problem. - As the saying goes, “appearance is not everything.” This means you shouldn’t feel bad if your room has no windows, since having them does not guarantee a more pleasant environment either. One of the biggest problems for rooms with windows has to do with the entrance of sunlight especially in the afternoon, as it can lead to overheating within the house. Looking for some life on those plain walls? 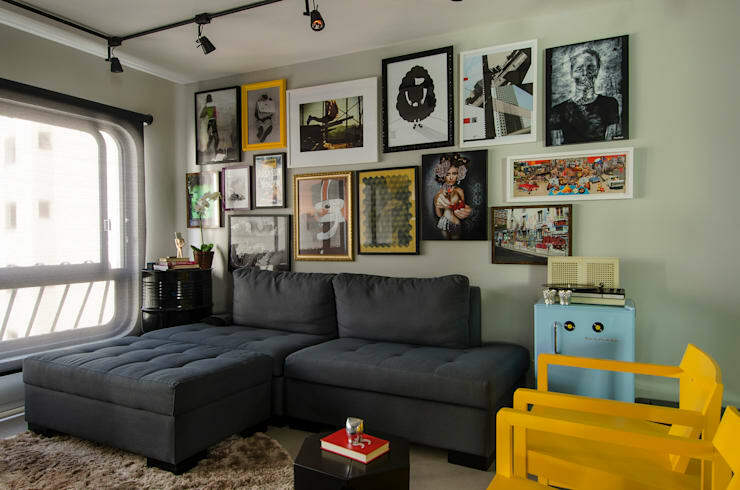 Decorate your wall with paintings, pictures, or graphics! Despite having no windows, you can still experience color and movement within the house through artificial imitations of the outside world. However, if the room is small to begin with, do not overdo it as it might make it look even smaller. If the size of the room is reasonable, do not hesitate and put up some pictures! Above is a great example by Marcella Loeb. Plants help balance off the energy in a room. Depending on the type of plants used, they also serve the purpose in purifying and cleaning air. As mentioned previously, this is vital for rooms without windows. Indoor green walls and vertical gardens hold a lot of good qualities scientifically and also artistically. However, we should also take into account that some plants cannot survive without sunlight, or that others might emit too much CO2 at night. 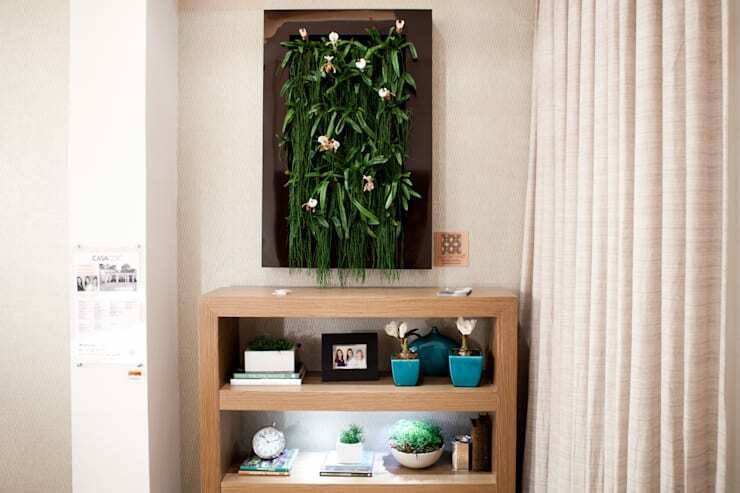 Before introducing one of these vertical gardens to your windowless room, do some research on the type, depth, length of plants that will fit your room best. The concept of DIY, meaning “Do It Yourself”, will allow you to brighten up a windowless room with your original and fun creations. 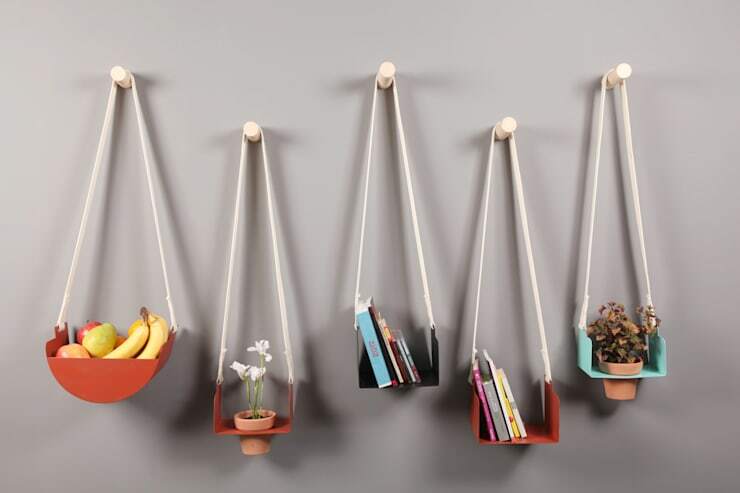 These homemade shelves shown are also practical solutions for storage! 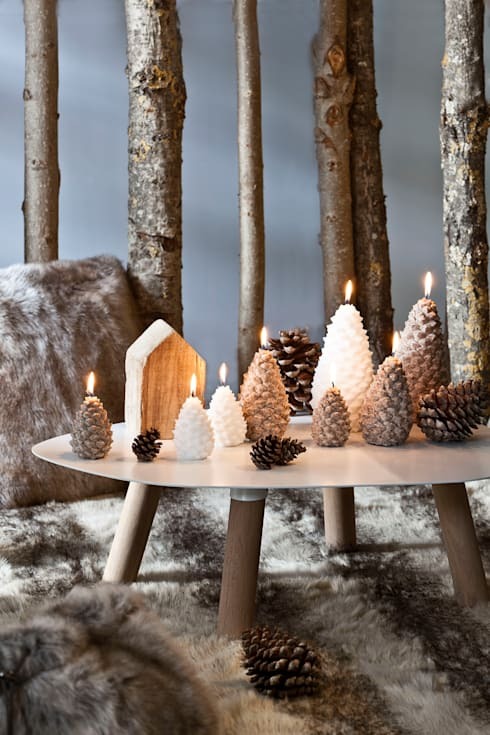 Candles always contribute to an intimate and cozy atmosphere. In a room without windows, and consequently, without natural light, candles become the perfect ally. Nowadays, there are many types of candles you can find in the market like the ones above from Bougies la Française. You can also get scented candles to add a delicate aroma to the cozy and neat environment.